Ruth Bader Ginsburg has a cult following like no other Supreme Court Justice, and for good reason. 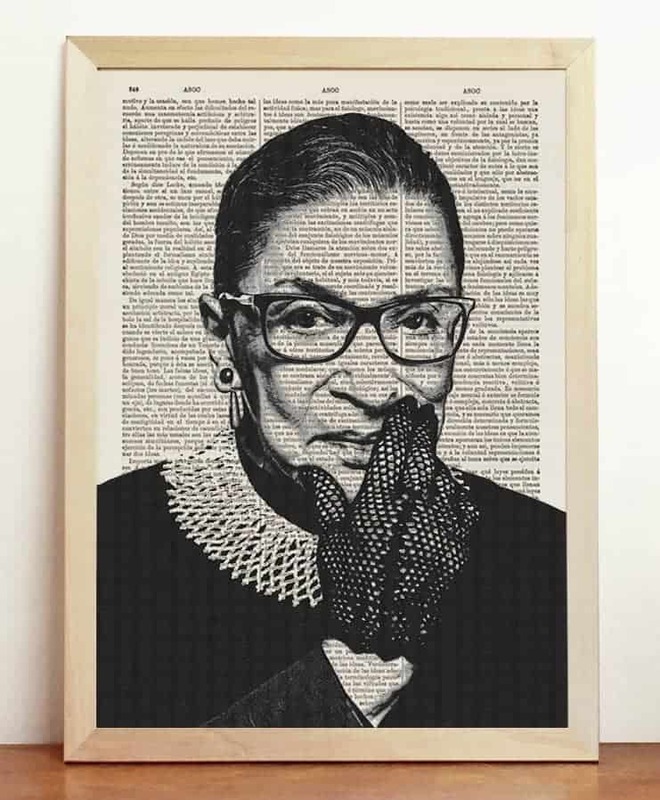 Born to Russian Jewish immigrants, Ginsburg has walked a rocky path to get to a seat on the Supreme Court, overcoming a multitude of trails and tribulations to get where she is today. 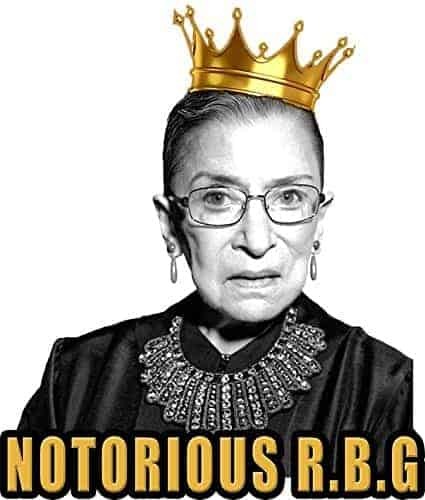 She is a beacon of in the fight against gender discrimination and hard to not love after seeing the recent movie, RBG. 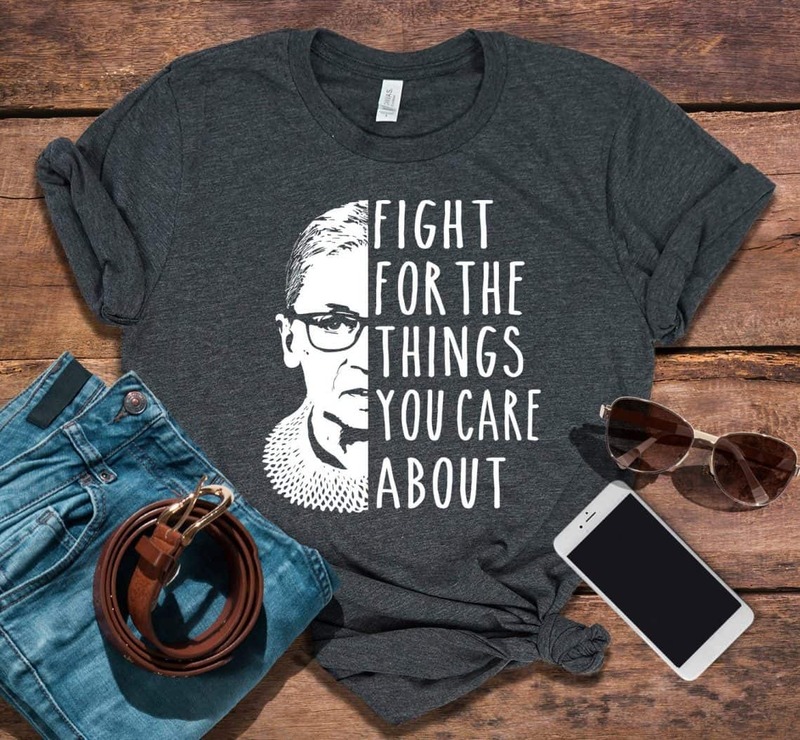 If you’ve become as much of an adoring fan of Justice Ginsburg as I have, then you’ll enjoy this list of 35 RBG gift ideas for yourself and your friends! 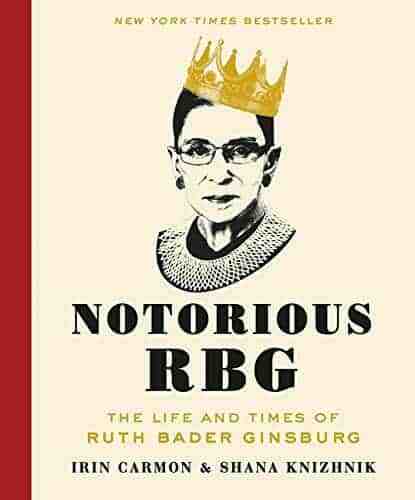 If you haven’t heard of this book (or god forbid RBG! ), this is step number one to becoming a lifelong fan of Ruth Bader Ginsburg. Don’t let the playful title throw you. 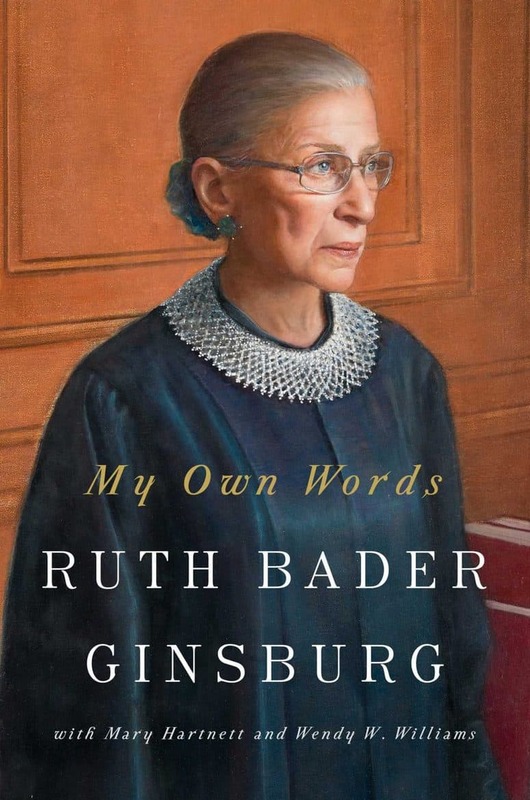 This book is an in depth look at the life and work of RBG. It details her dedication, her struggles, the deep love she had for her husband, and why she is still going strong even in her 80s. 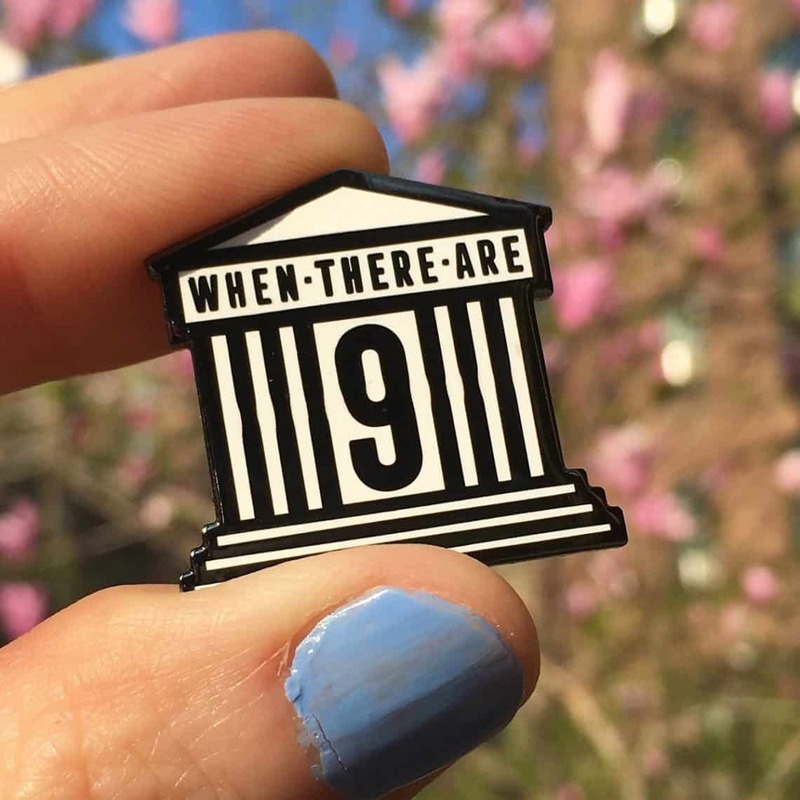 Any true RBG fan will know this quote and be proud to wear this pin from Dissent Pins. 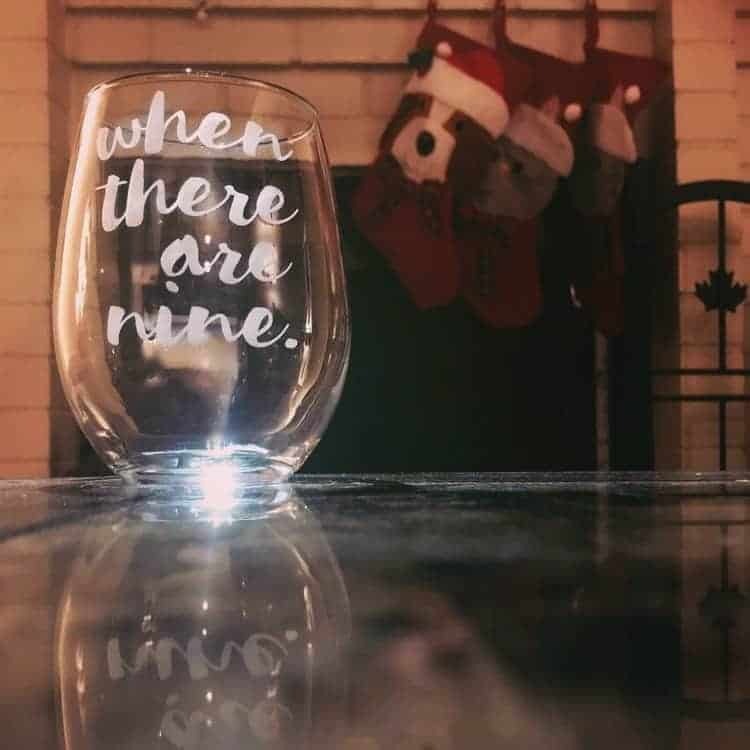 You can find the quote on a wine glass too from Snowflake Avalanche. Because, we all need a little wine. 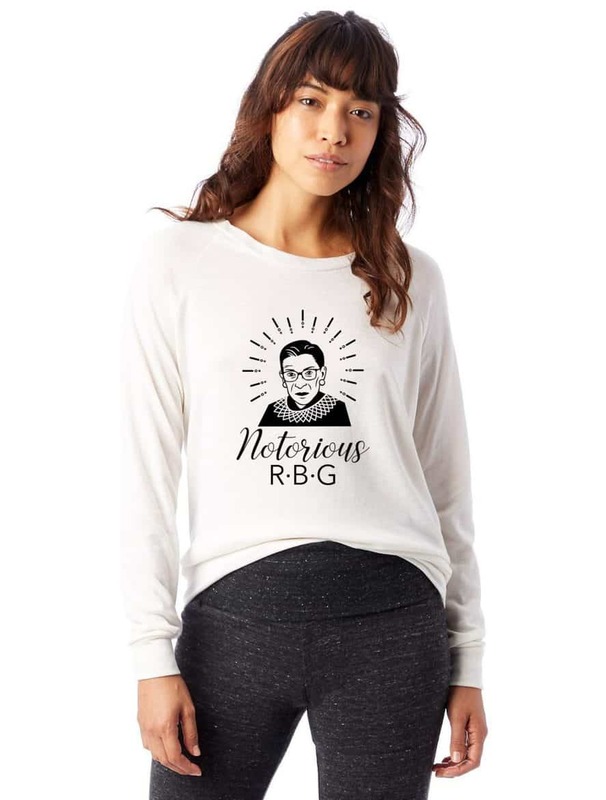 Any badass RBG fan needs this t-shirt from Creattee. 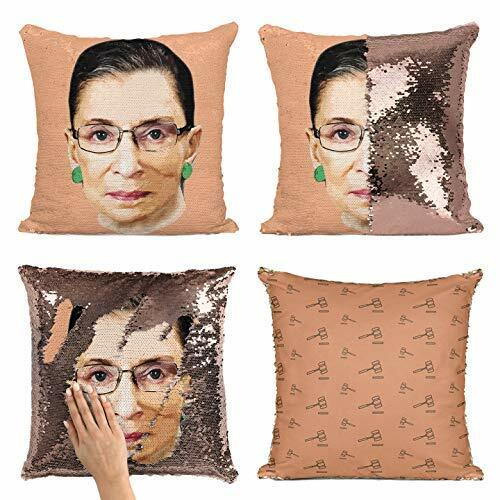 Get a daily dose of Ruth with this fun sequin pillow. The portrait of Ruth is revealed with a swipe of the sequins and the back features the gavel. This pop art pillow will be a reminder of Ruth’s awesomeness even when you are lounging. 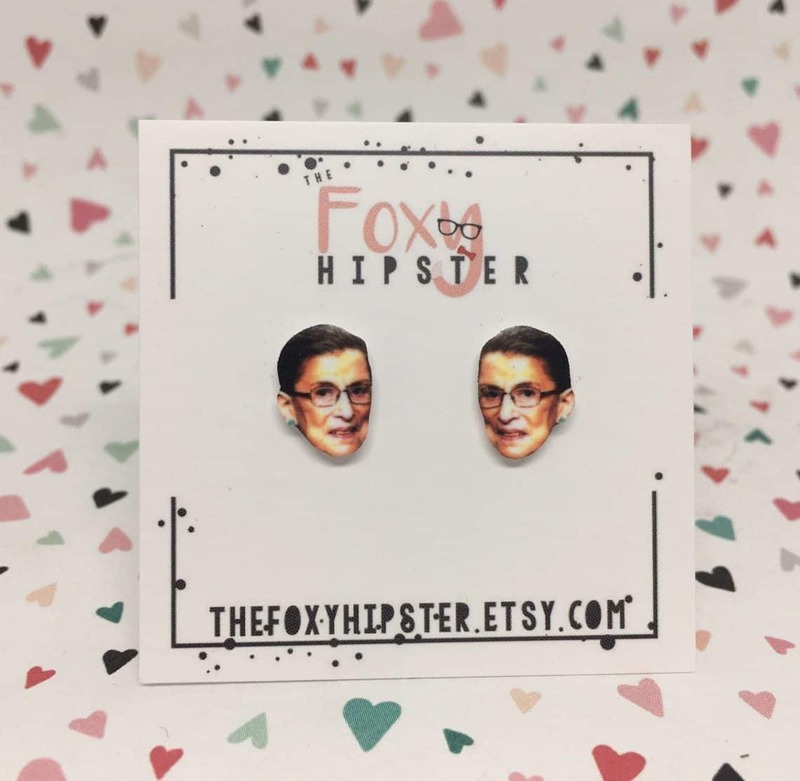 Make a fashion statement with these cuter than cute RBG earrings from The Foxy Hipster. 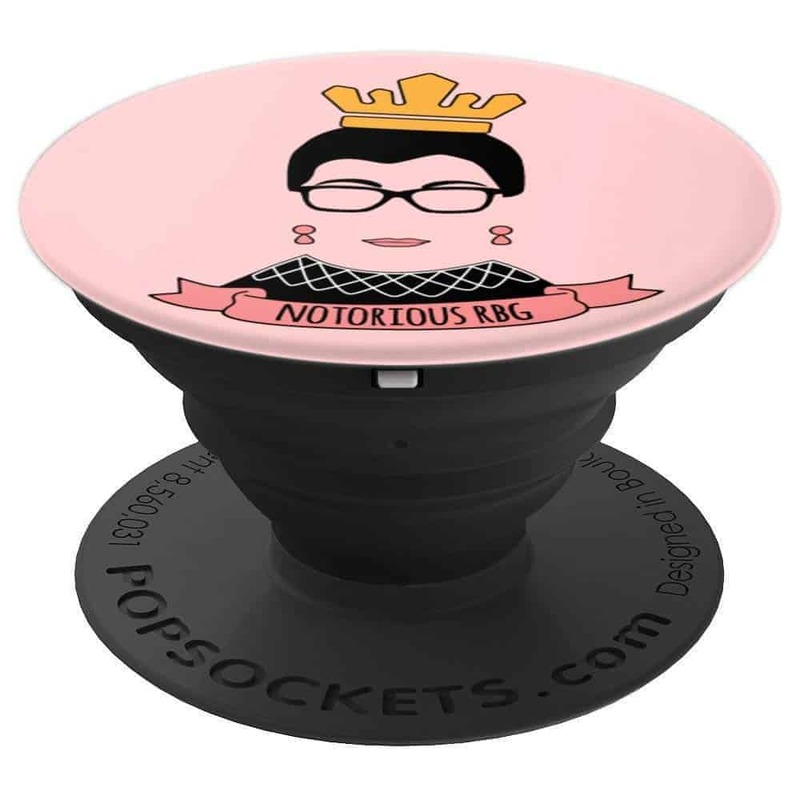 Give the Notorious RBG PopSocket for a stocking stuffer. 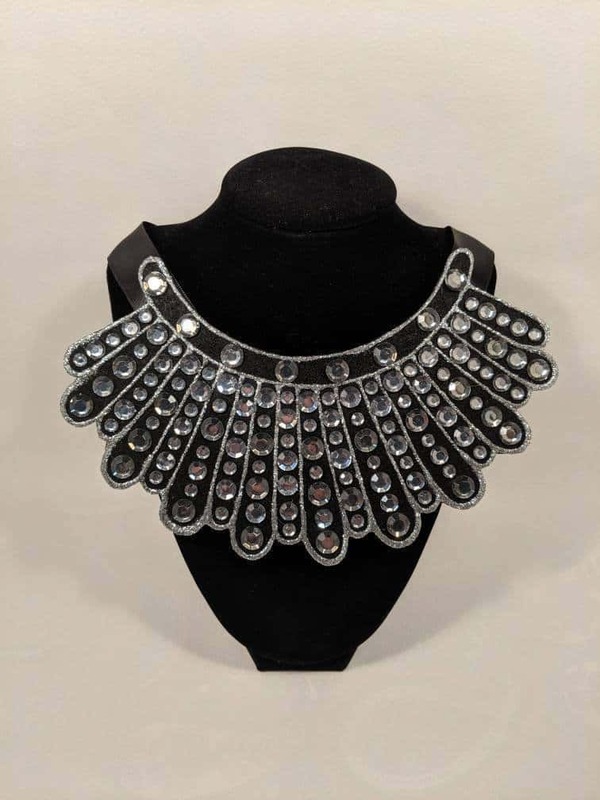 Femmes Fortes makes full size RBG collars for ladies to wear proudly in union with Ruth. This beautiful print from Iconicos is on upcycled dictionary paper. 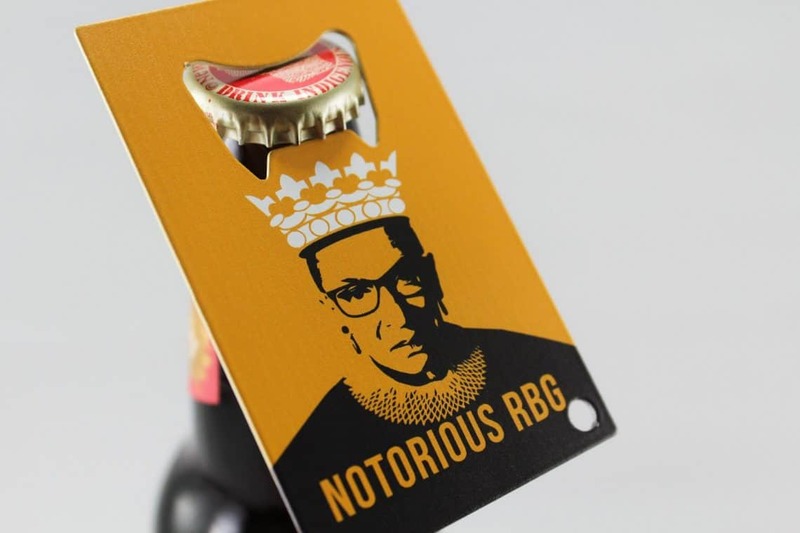 For the feminist beer lover in your life, give them a RBG bottle opener from Merch Crafters. 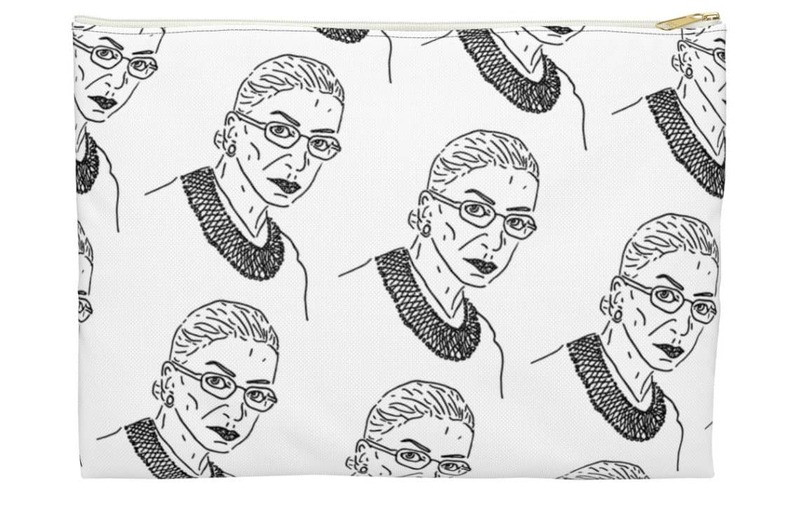 Give this pouch from Girlie Mugs to your favorite RBG fan. This lady is cool enough for her own action figure. 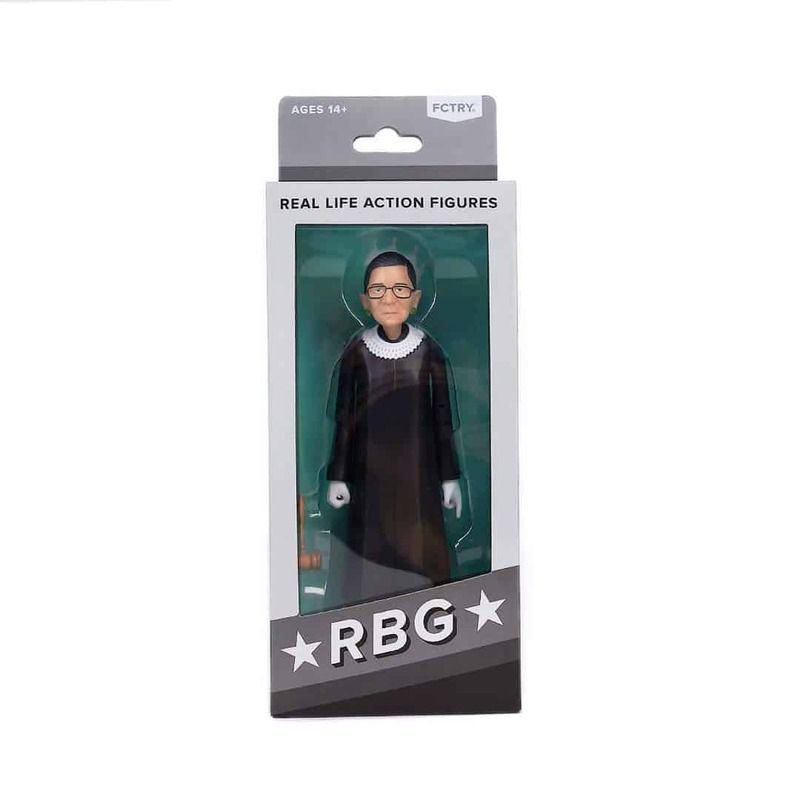 Any RBG fan will want this collectible. 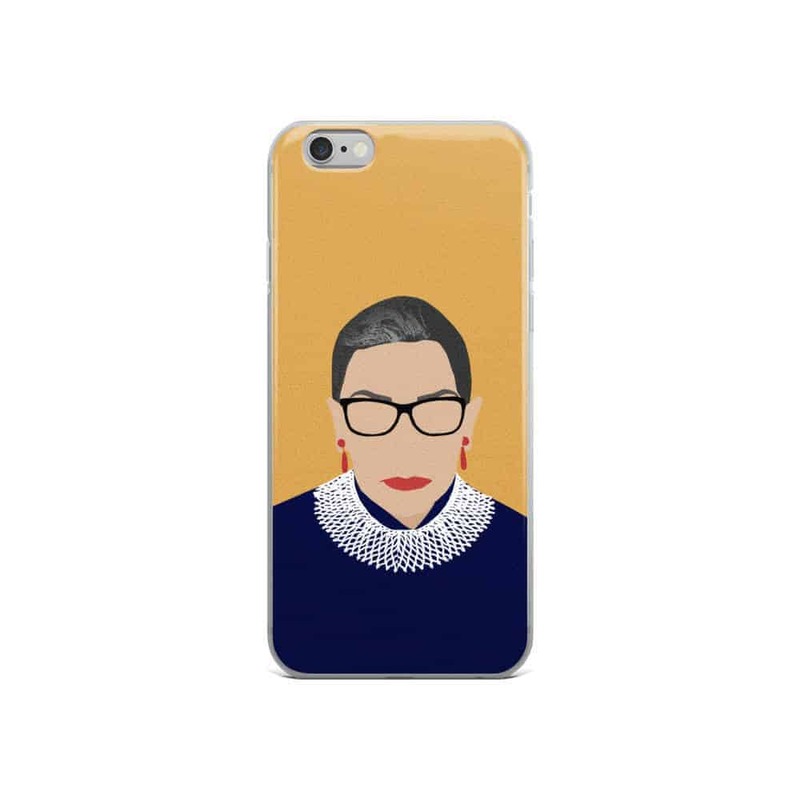 The Film Artist creates these cases so Ruth can protect iPhones now. 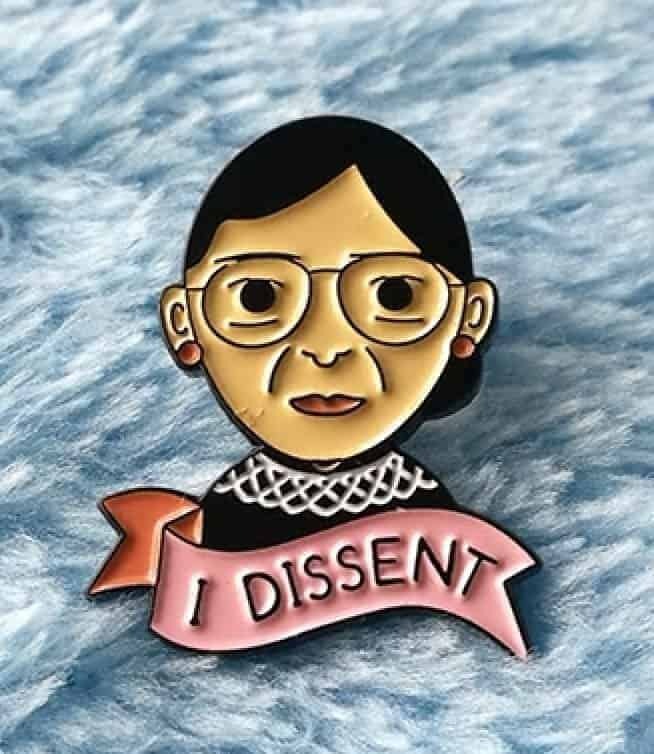 Get a I Dissent pin from Jersey Sand Patches for the RBG fan in your life. 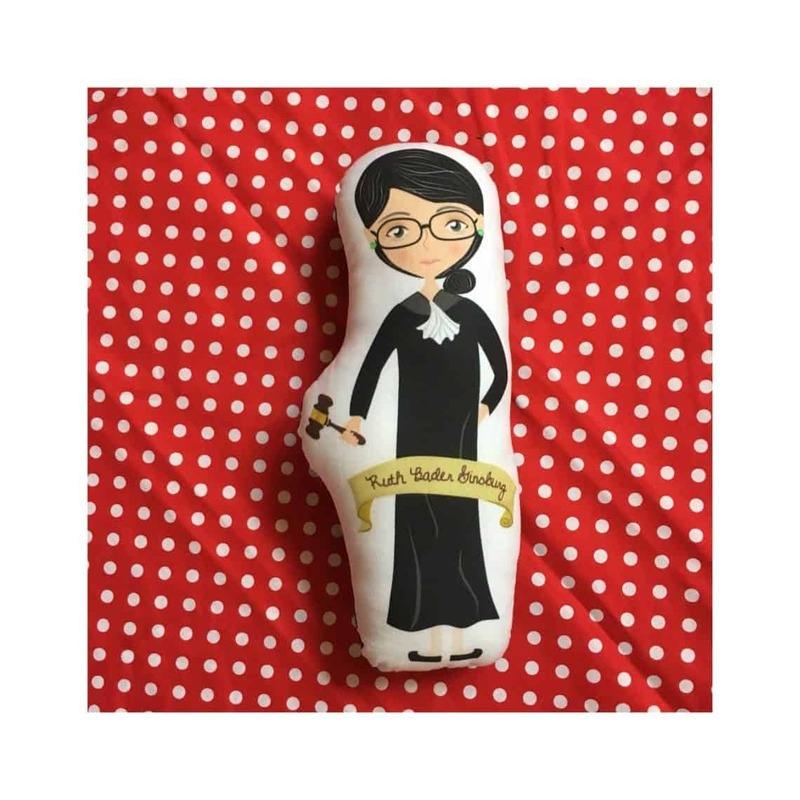 Give an RBG Plush from Little Rebel Rosie to even the littlest of RBG fans. 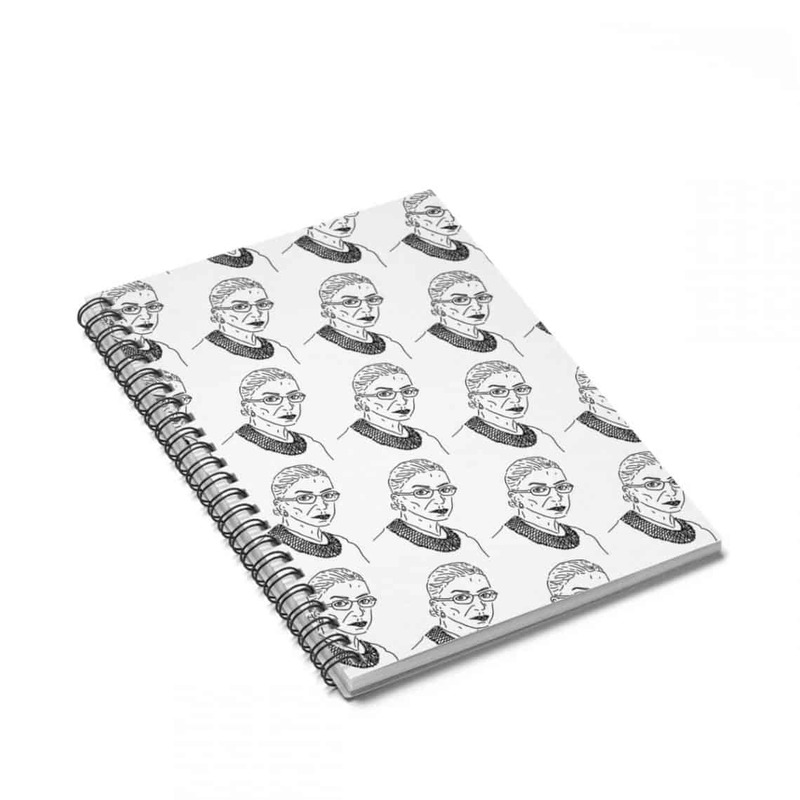 Give this RBG notebook from Girlie Mugs to anyone that needs to write down all those goals they are tackling. 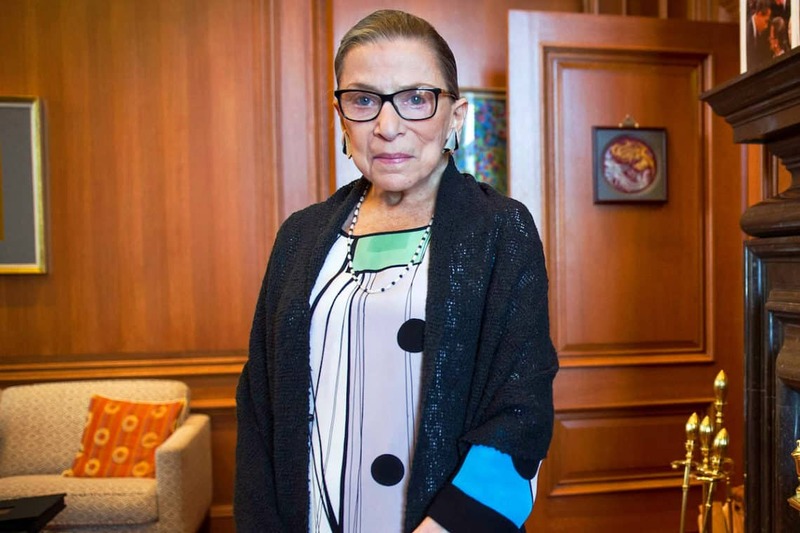 It was pretty scary when the news came out that RBG recently broke some of her ribs in a fall, but in true Notorious RBG style, she was back at work within 24 hours. 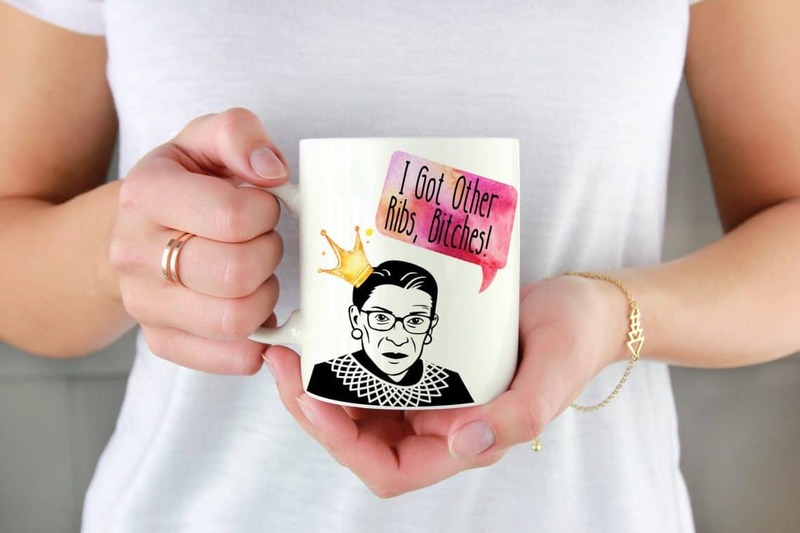 RBG’s badassery needs to be documented on a mug like this one from Shop Pretty Phoxie. 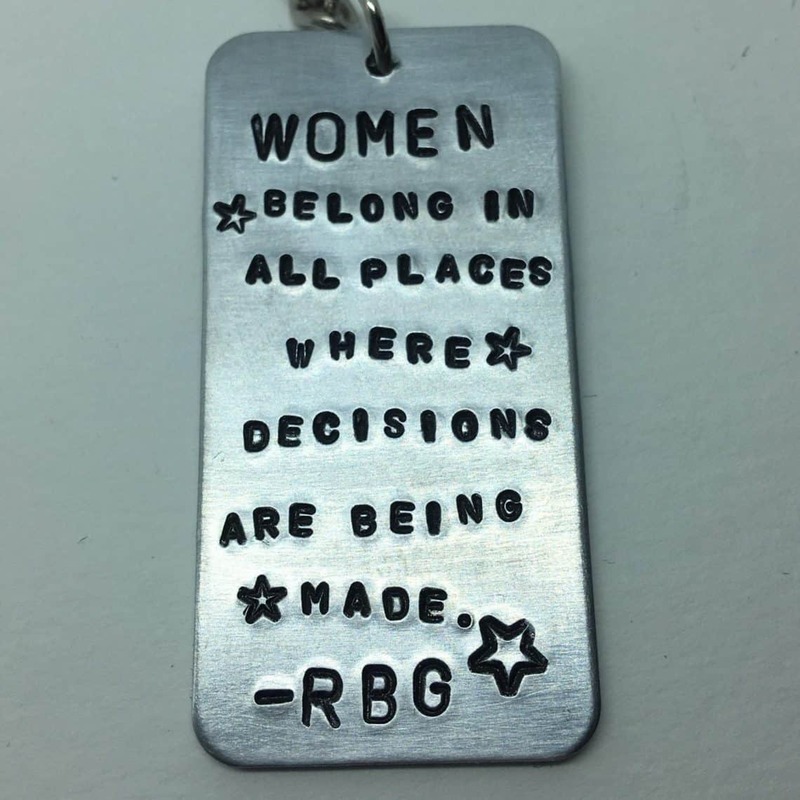 danger AND mayhem make this inspiring RBG keychain perfect to give to your best feminist friend. 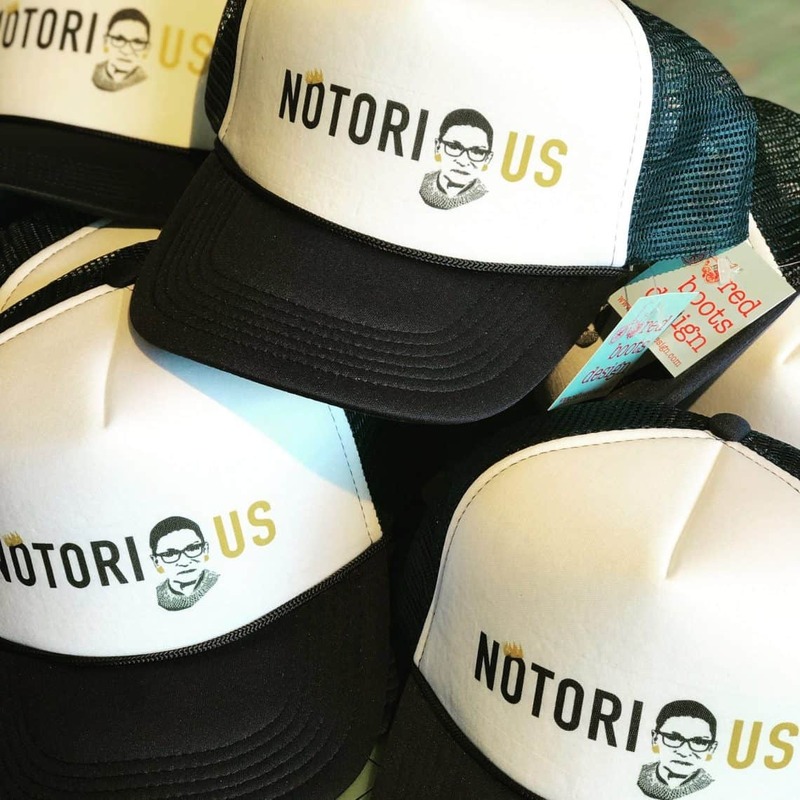 Red Boots Design makes hats honoring RBG that are great for men and women. 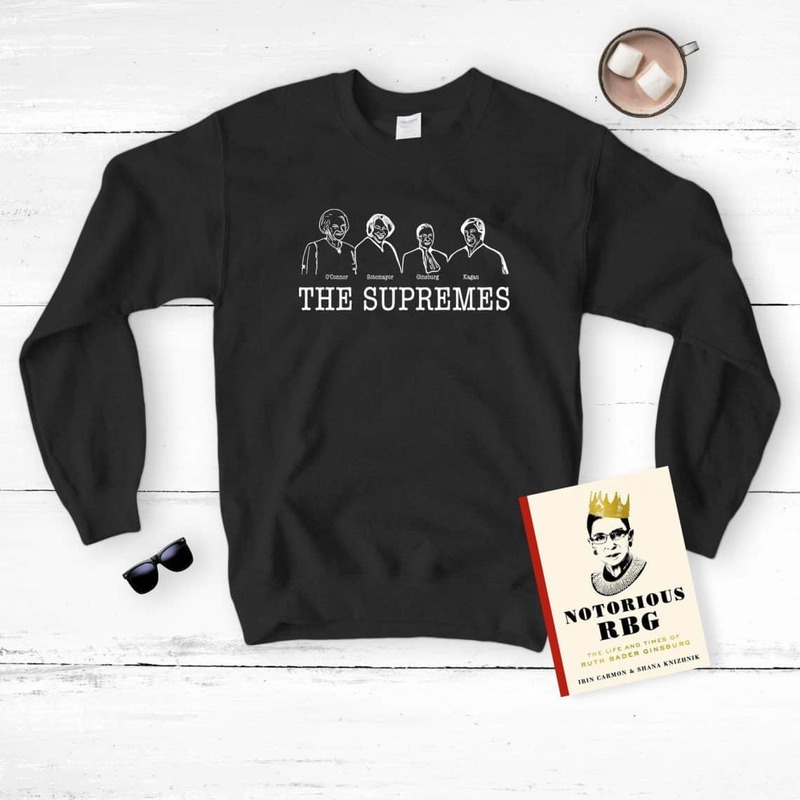 Get this cozy Notorious RBG sweatshirt from Left Wing Swag. Give the RBG magnet to hang all those art projects from kiddos, bills or just to judge every food choice. Ever wonder how RBG is still going in her 80s? It is all in her workout. 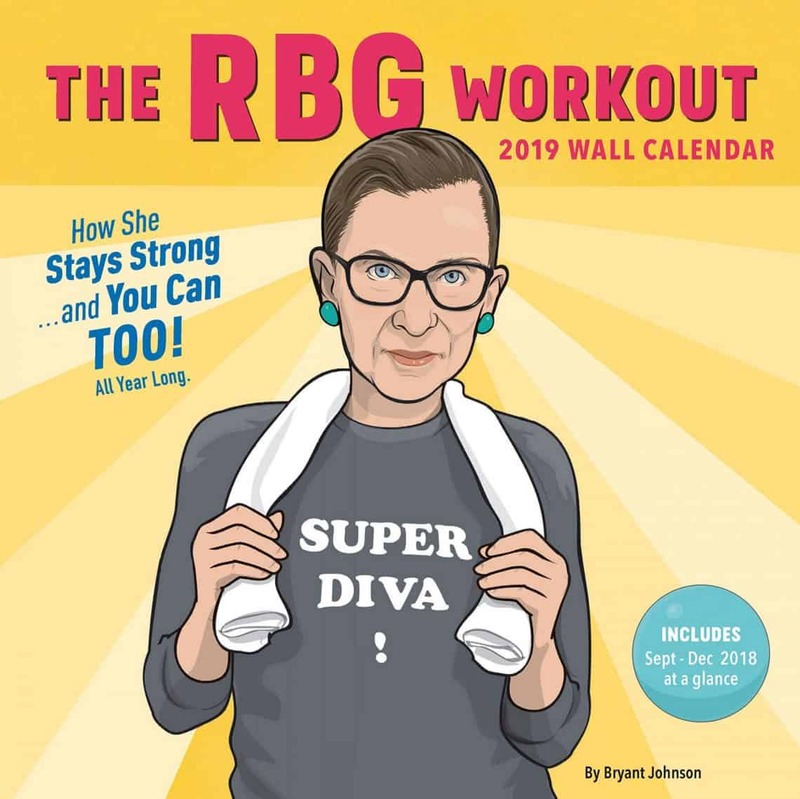 Check out this wall calendar that features real workout moves RBG does to stay fit. 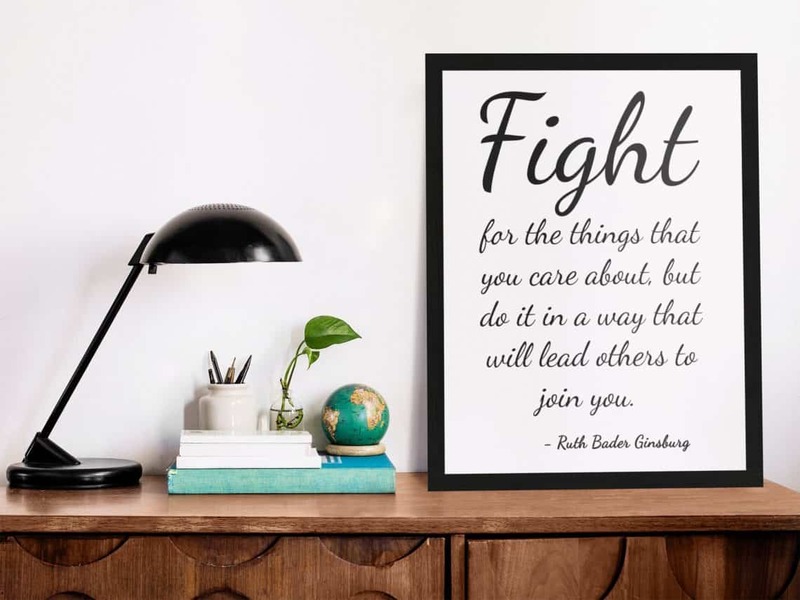 Give this hangable quote from US Top Designs as a daily reminder of RBG’s words of wisdom. 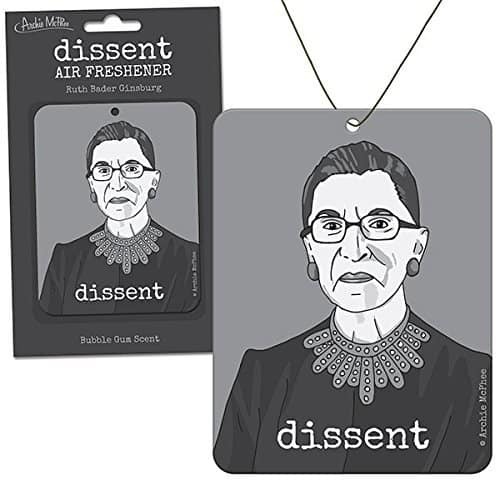 A real RBG fan needs this dissent air freshener from Archie McPhee. 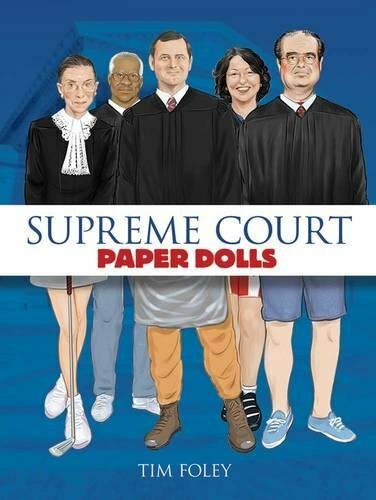 Go back to childhood and enjoy some time with these Supreme Court Paper Dolls. They come with robes as well as street clothes and accessories. 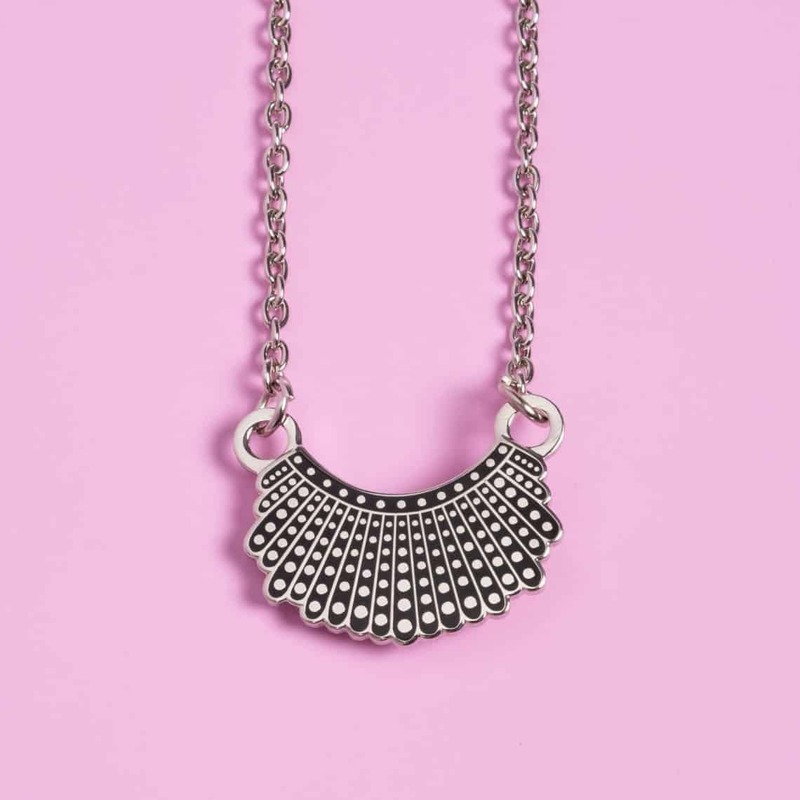 For those that admire RBG, they can wear a necklace from Dissent Pins that represents her iconic collar. While the classy Ginsburg wouldn’t ever “flip the bird”, her sharp tongued dissents verbally capture the spirit of the gesture. 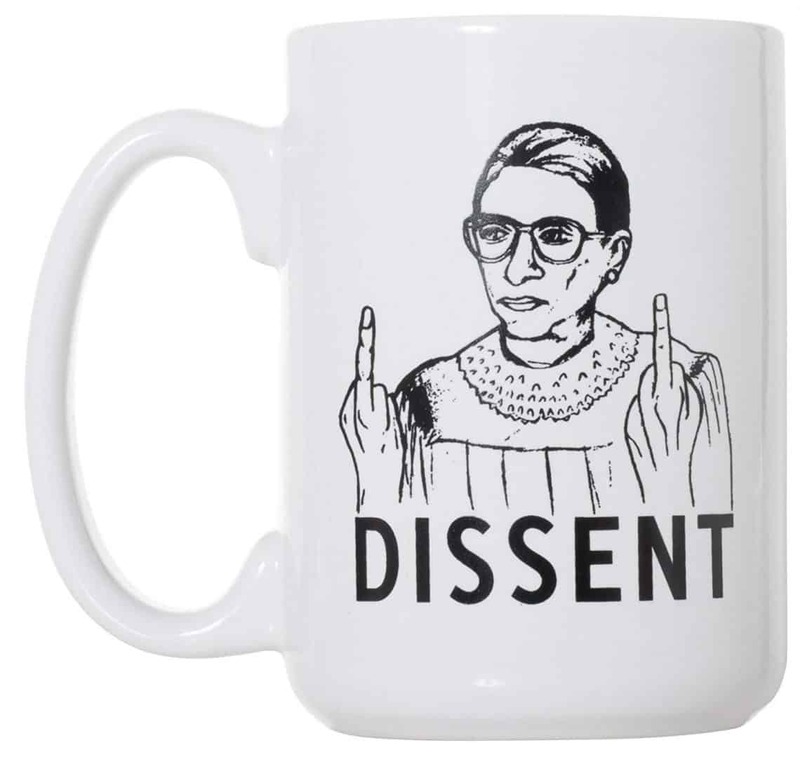 If you feel like flipping the bird and dissenting, you need this mug. 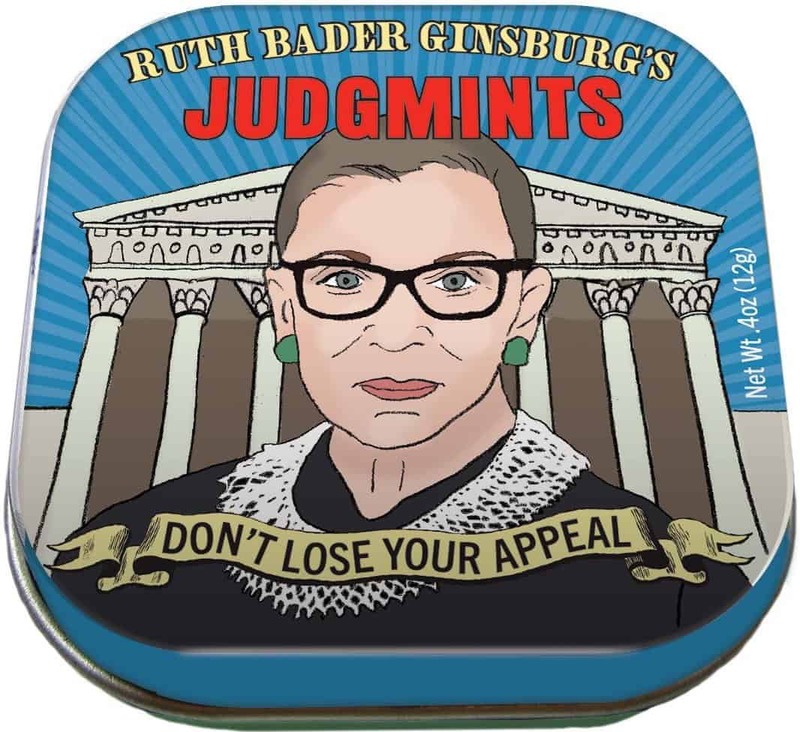 Any real RBG fan will definitely love these Judgmints. 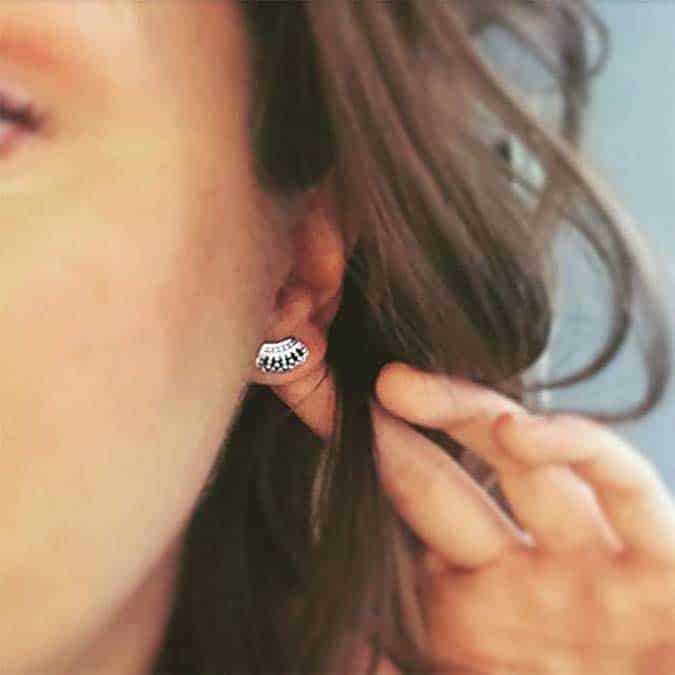 Give these Dissent Earrings for a little RBG accessory style. 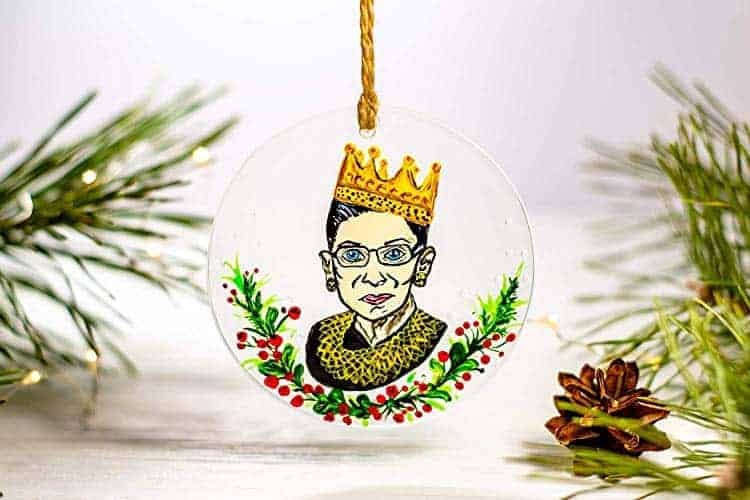 Honor RBG during the holiday season with a Christmas ornament. Celebrate all the ladies that have made it to the bench with this sweatshirt from Plum USA. If you don’t know much about Ruth, you have to read this book. 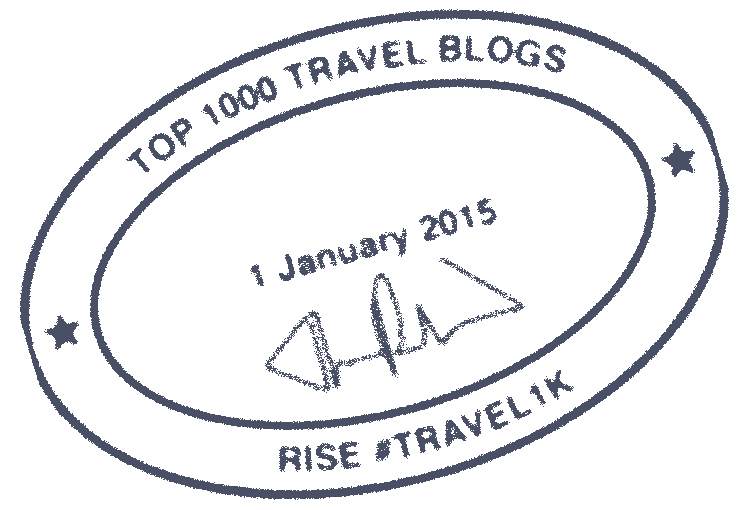 Get to know Ruth’s story right from the source. Her wit and humor shines through he tale of shattering the glass ceiling. 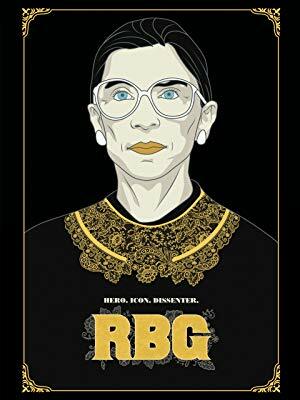 Buy or rent the RBG documentary and share with all the other RBG fans you know. 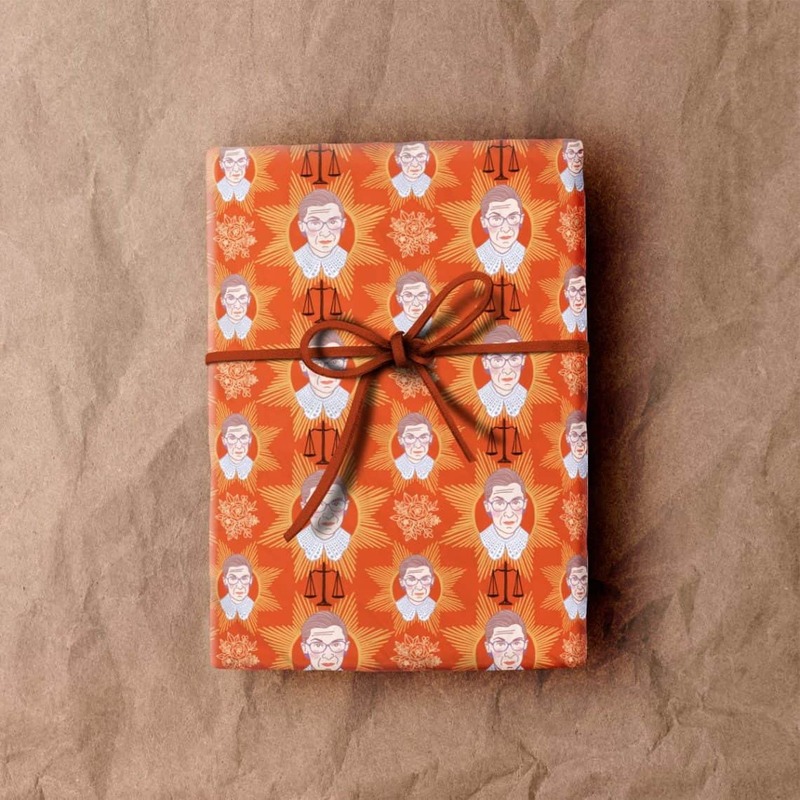 Wrap all of these awesome RBG gifts with – what else but RBG wrapping paper from Earthereal Design.